If you’re a fan of awesome adventure games, good news! Bandai Namco has announced that Tarsier Studio’s excellent horror adventure game Little Nightmares is getting an expansion! 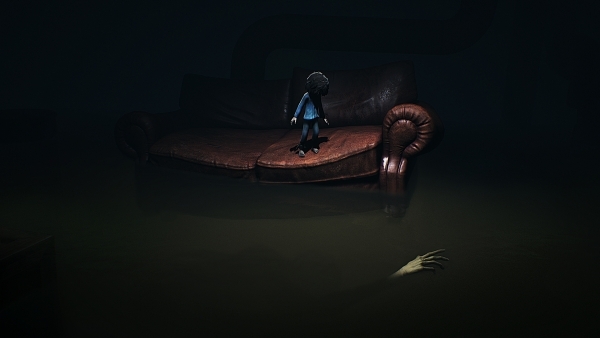 Titled “Secrets of the Maw,” the Little Nightmares DLC expansion will add three new chapters to tell a parallel story to the events of the game, with the first chapter set for release this July. The new LITTLE NIGHTMARES DLC introduces The Runaway Kid, another prisoner looking for a way out of the dark depths of The Maw, an eerie, twisted vessel filled with disturbing and dangerous enemies who are eager to devour their next victim. During his journey, The Runaway Kid will visit unseen areas of the Maw in three different chapters: The Depths, The Hideway, and a last secret location, which offers new challenges to overcome and an alternative perspective on Six’s adventures. In the first chapter, The Depths, The Runaway Kid explores the foul and murky sewers as he tries to escape from an insidious threat that lurks underwater. In November, players will be taken to The Hideway, a machine-themed section where the Nomes reside. The third and final chapter will be releasing in January 2018, and will ultimately determine the fate of The Runaway Kid. As someone who loved Little Nightmares, color me excited! Let’s hope it continues the game’s superb quality and unique gameplay in the DLCs.